Historic Filipinotown — The long wait may finally be over. The owners of Brooklyn Bagel Bakery said they will reopen the Beverly Boulevard store this Friday, Nov. 9 more than three years after it closed following the collapse of a wall. Brooklyn Bagel will reopen in the same building but in a much smaller storefront than the cavernous space it once occupied. Customers can expect new ovens, coffee makers, display cases and historic photos. Bagels will still be baked daily but wholesale operations have been permanently relocated, the company said. The reopened bakery it will offer a dozen different bagel flavors, plus simple juices, tea, and coffee. T-shirt, mugs and caps will also be available. 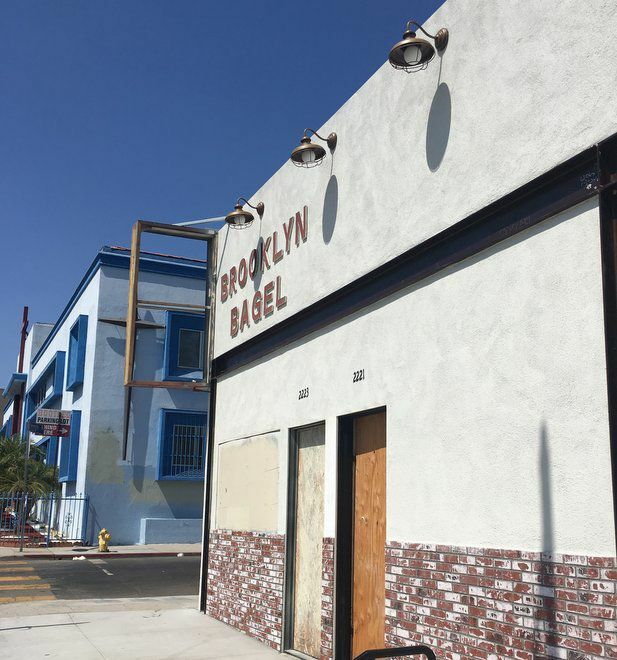 Part of the old Brooklyn Bagel Bakery on Beverly is now being offered up for lease as creative office or retail space. The reopening comes as the bakery celebrates its 65th anniversary. Brooklyn Bagel, founded in 1953 by Seymour Friedman, the business moved to its current location in 2200 block of Beverly in 1965, according to the company website.